Electroplating solution for gold surfaces and gold edge contacts. 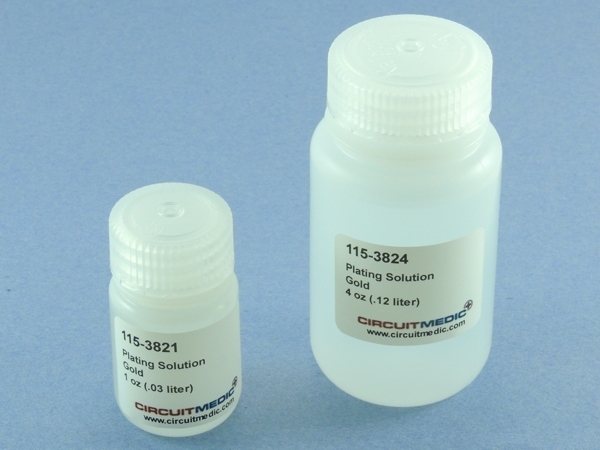 This solution is ideally suited for plating printed circuit boards edge contacts and other conductive surfaces. Gold plating solution used for edge contact repair and replating must be highly concentrated. This highly concentrated gold plating solution has a ratio of .03125 troy ounce of gold per 1 ounce bottle.